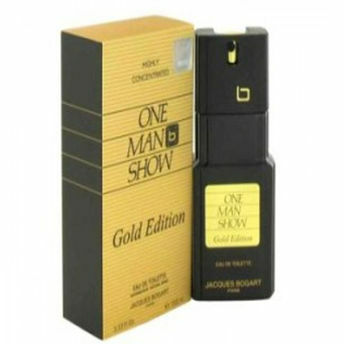 Jacques Bogart One Man Show Golden Edition EDT is a luxurious fragrance designed for the contemporary man. It opens with fresh notes of mandarin, orange blossom, star anise, violet leaves, apple that combine with woods, ambergris accord, citrus labdanum and musks. At the heart lies spicy and calming notes of geranium, lavender, cinnamon.